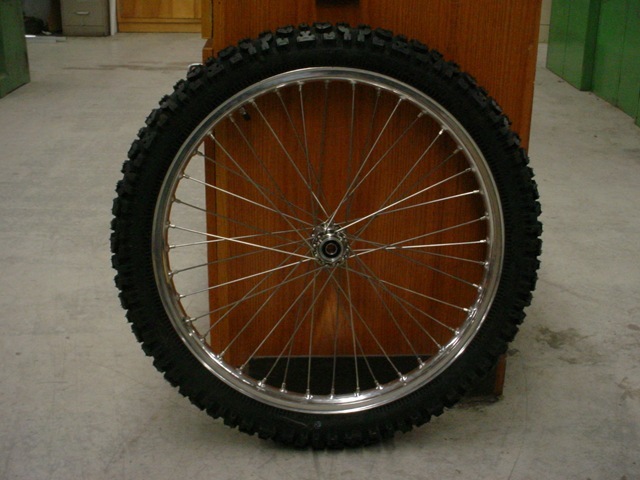 Kevin “Teach” Baas is now introducing his 23” front wheel, that comes with your choice of a lightweight alloy polished rim or a chrome plated steel rim. It also comes with a spool hub and 5/8 axle size sealed bearings and spacers, this is a 40 hole spoke pattern hub and wheel. This entry was posted in New Products/Product Testing. Bookmark the permalink. What length Springer do I need to run your 23 inch rim? 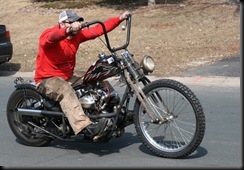 I’m very interested in one, but want to know if itll fit my stock length springer? 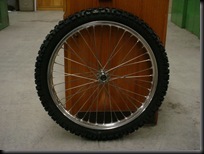 Or do i need a longer one so the wheel doesn’t hit the bottom of my springer.